I don’t know how things go in your household, but in my house, making a child (or husband) eat their vegetables is a fate worse than death! I mean, it’s the worst punishment a parent can give!! My kids are picky eaters, but one thing they are not picky about is their universal hatred of anything that looks, smells, tastes or acts like it might possibly in some slight way be a vegetable, or be related to a vegetable, or have touched a vegetable at any time during its existence. They are equal-opportunity vegetable haters. Corn? Hate. Peas? Hate. 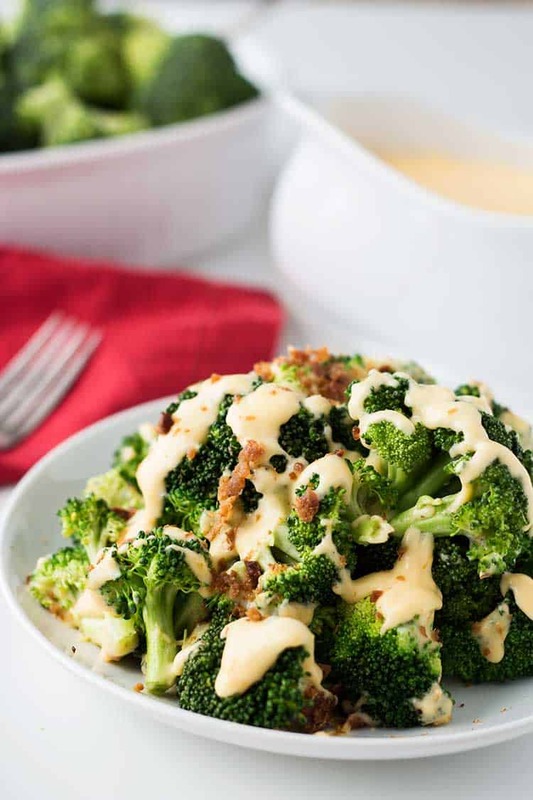 Broccoli…don’t even go there! Most of the time I’m doing good if I can get them to eat the main meal (in which I have usually hidden a few vegetables when possible). But ask them to eat a side dish comprised of nothing but vegetables? NOT. GONNA. HAPPEN! So, we’ve taken to having to hide vegetables around our house. Usually, our cloak of invisibility of choice is ketchup. We go through SO much ketchup! But sometimes it’s nice to have a change from the ketchup. 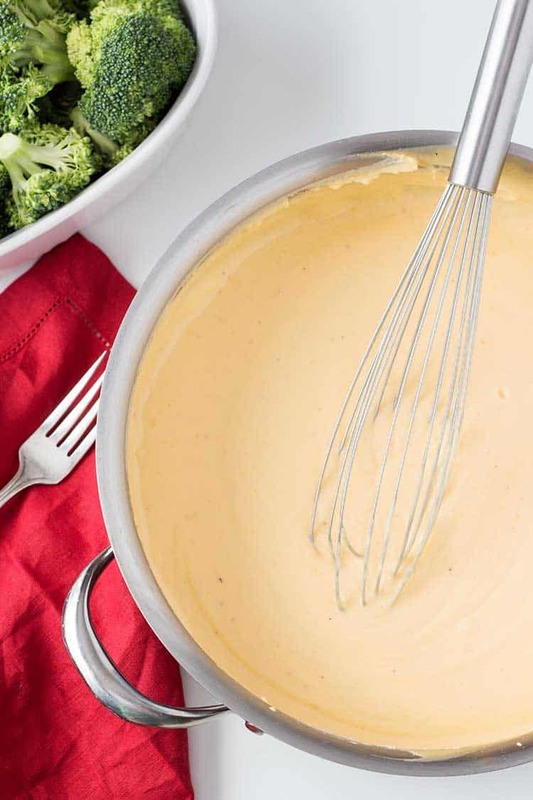 Enter this Freezer Cheese Sauce. It goes great with just about any vegetable you can think of! 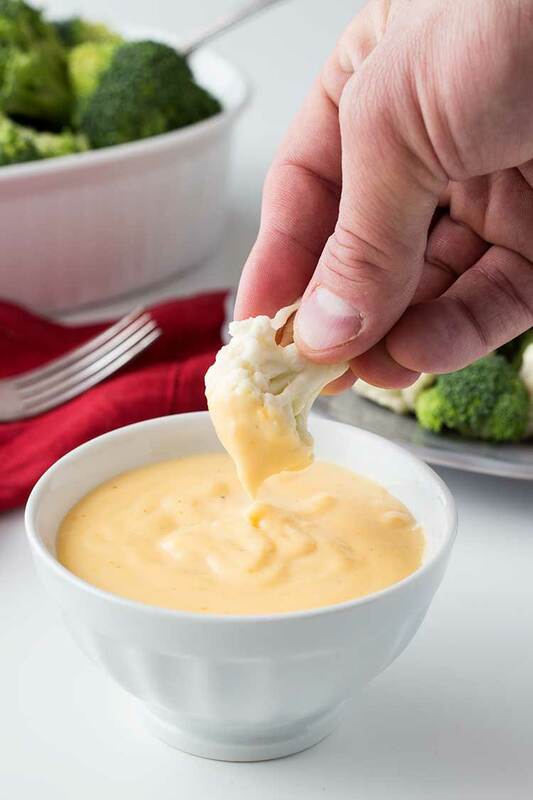 It works as a sauce over the top, or you can use it as a dip. One batch makes quite a lot, and it stores nicely in the freezer until needed! I like to use mild cheddar in this, because my kids like cheese but not a bold cheese flavor. If you like a stronger cheese flavor, try using sharp cheddar. I recommend defrosting in the fridge, and then heating in a saucepan on the stovetop. Sometimes dairy with separate a little when frozen. But heat it over the stove and give it a few stirs with a whisk and it comes right back together. I have not had much luck with the microwave, because it tends to heat it unevenly and then I get burned spots. One batch makes about 10 cups of cheese sauce, so I usually put about 2 cups into each of various freezer-safe containers for freezing. My kids are still not big fans of vegetables. But I can usually coax at least a few small bites out of them with sufficient “cheese-sauce-toppage”. Mostly the key is to hide the very appearance of a vegetable. Go figure. But if it gets them to eat a few bites, I suppose that is better than nothing…right? 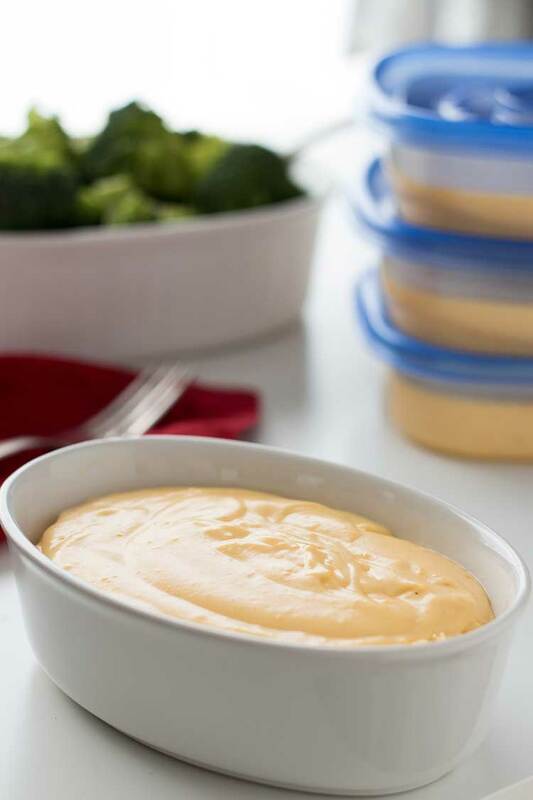 An easy, cheesy sauce that goes great with just about any vegetable imaginable - it stores great in the freezer until needed! Melt butter in large saucepan or dutch oven over medium heat. While whisking briskly, add in milk and chicken broth. Whisk until combined and smooth. Remove from heat. In separate bowl, mix egg yolks and half-and-half until combined. Add in 1/4 cup of sauce mixture to egg mixture. Stir to combine. Add 3 more quarter-cups of sauce mixture, one at a time, into the egg mixture. (This is to temper the eggs - raise their temperature slowly - so as not to scramble them.) Then add egg mixture into large pot of sauce mixture and stir to combine. Return to heat and cook for 3-4 more minutes over medium heat. Turn heat off and stir in cheddar cheese. 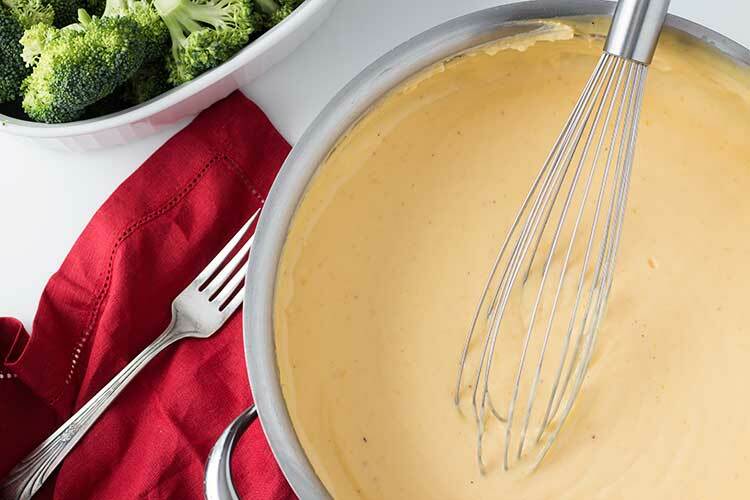 Continue to stir until all cheese is melted. Allow mixture to cool, and then portion into freezer-safe containers. Label and date, then freeze. Defrost sauce overnight in refrigerator. Pour thawed sauce into saucepan and heat over medium heat, stirring frequently. Recipe adapted from the book, Make-A-Mix, by Karine Eliason, Nevada Harward and Madeline Westover.